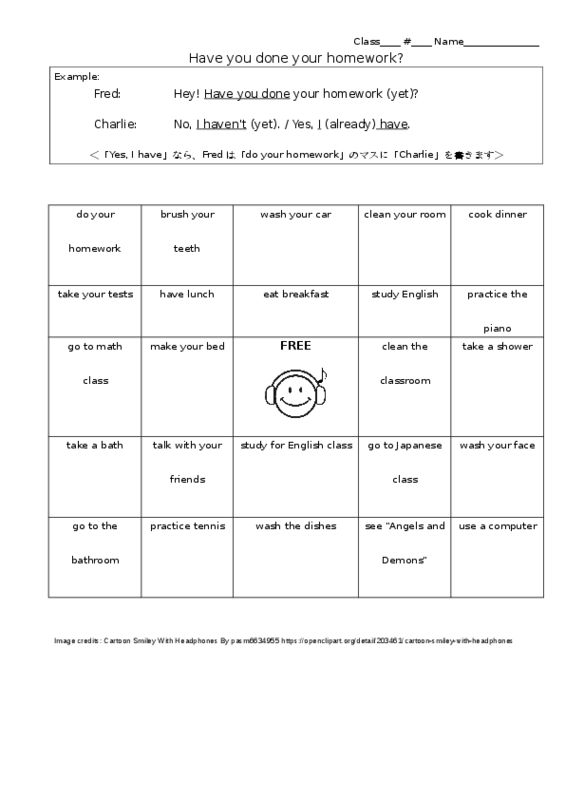 Let's Teach English: Present Perfect (Completion) Interview-Bingo: "Have you done your homework?" Present Perfect (Completion) Interview-Bingo: "Have you done your homework?" b. ask your partner (e.g. have you done your homework? 3. Read (and repeat) through the contents of all the cells and check for comprehension. Make sure the students don't use Japanese.